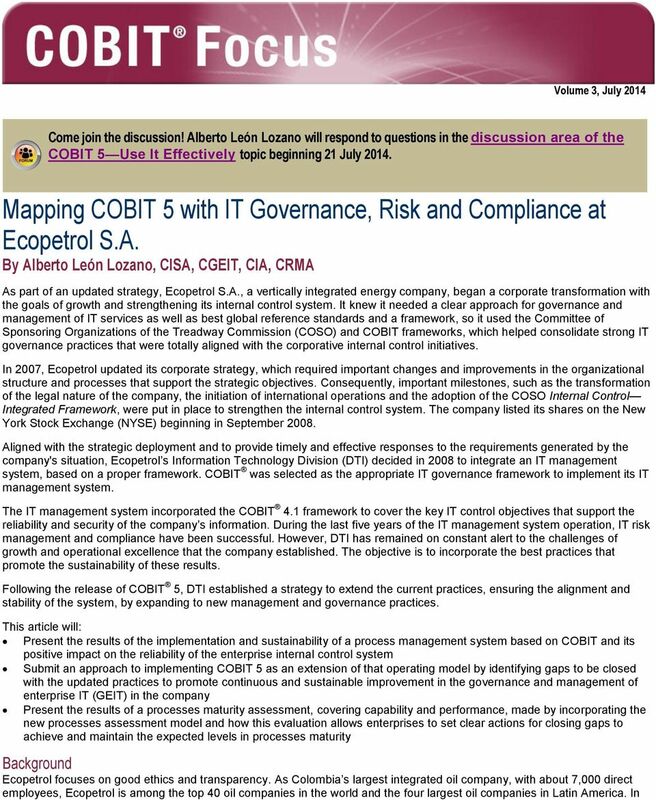 Download "Mapping COBIT 5 with IT Governance, Risk and Compliance at Ecopetrol S.A. By Alberto León Lozano, CISA, CGEIT, CIA, CRMA"
Sarbanes-Oxley (SOX) The Migration from Project to Process. 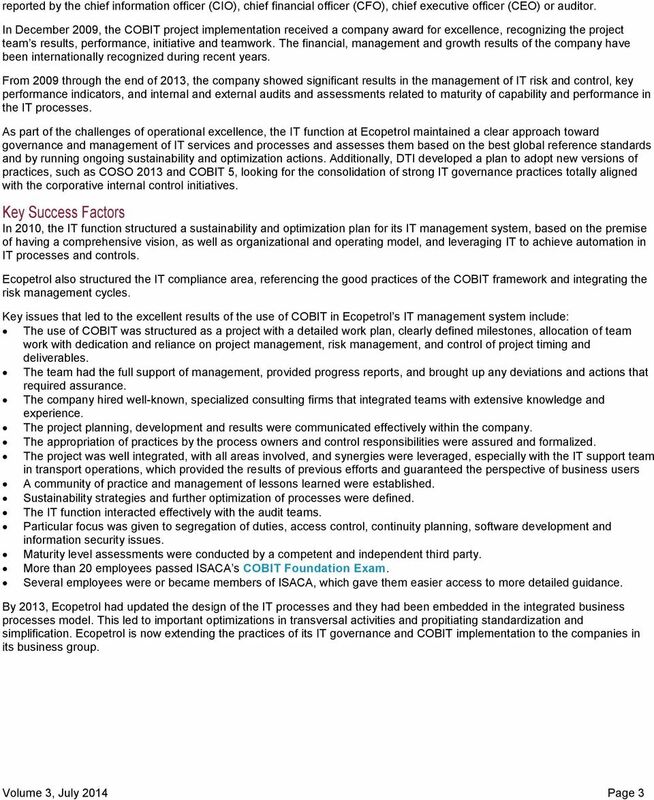 Practical Actions for Getting Started. Jim DeLoach, Managing Director. 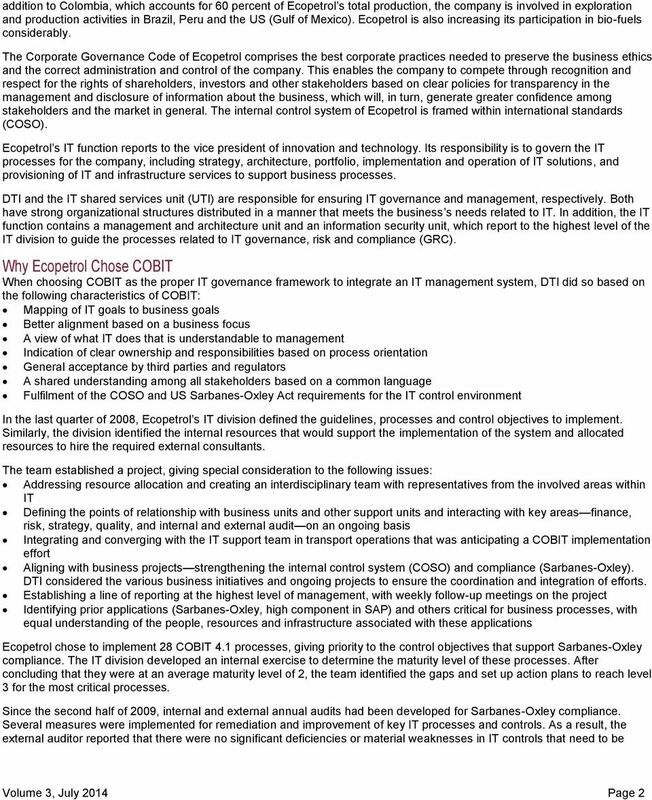 COBIT 5 for Risk. 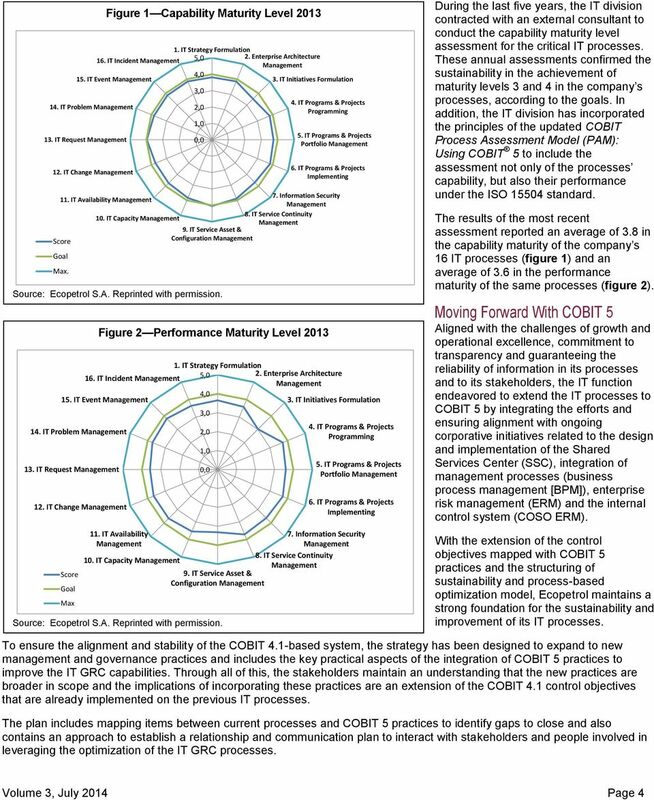 CS 3-7: Monday, July 6 4:00-5:00. 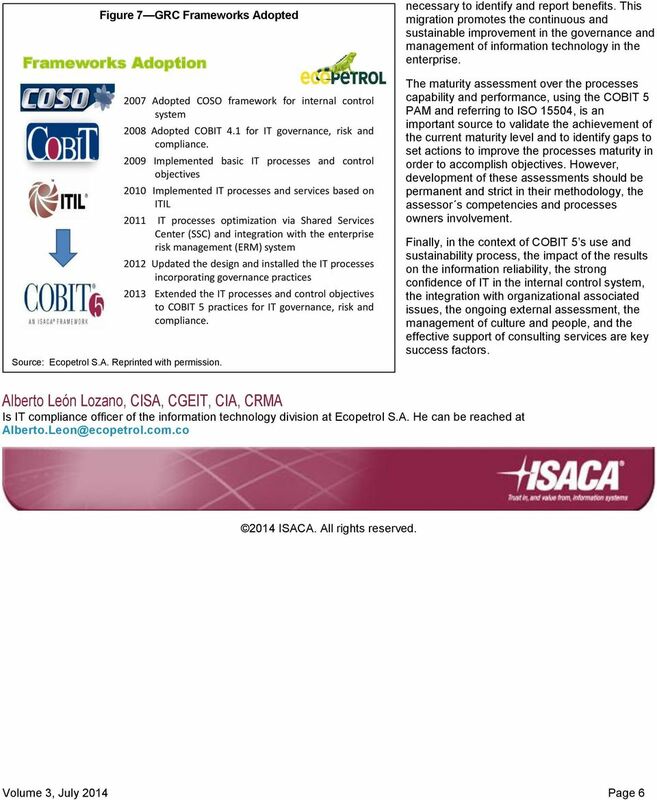 Presented by: Nelson Gibbs CIA, CRMA, CISA, CISM, CGEIT, CRISC, CISSP ngibbs@pacbell. 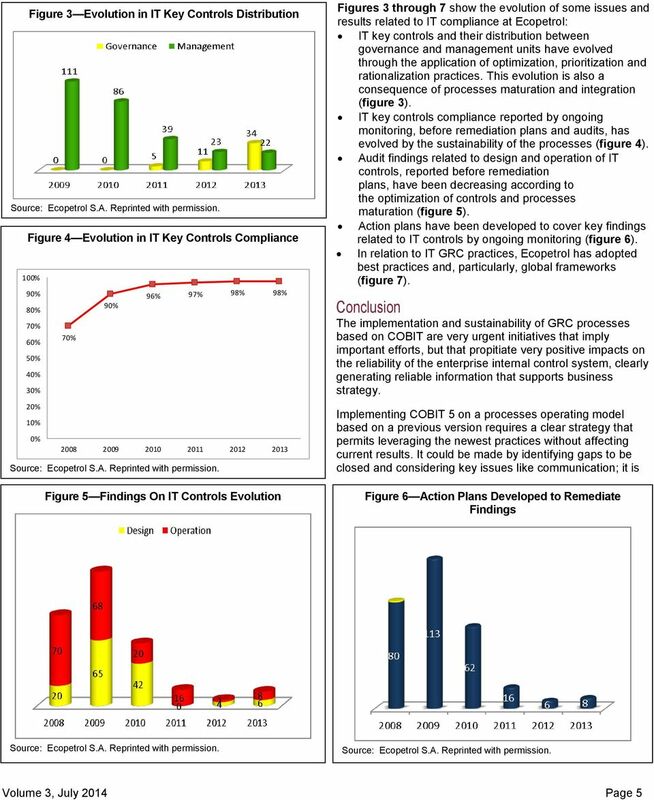 IT GOVERNANCE SUMMIT OCTOBER, 2015 REALIZING MAXIMUM BENEFITS FROM GOVERNANCE, RISKS AND COMPLIANCE (GRC) TOOLS Presented by Ralph Ugbodu CGEIT, CISA, CRISC, CISSP, CFE, EDRP, ISO 27001 Lead Auditor, COBIT5.